The Supreme Court-appointed Special Investigation Team (SIT) on black money has called for a complete ban on cash transactions above Rs. 3 lakh as well as setting a Rs. 15-lakh cap on cash holdings by individuals. 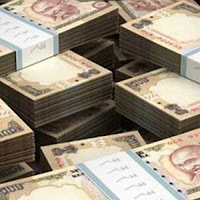 It further said the government should frame a new law to make transactions above this threshold illegal if the amount is not paid by cheque, bank draft, or electronic clearing system through a bank account.